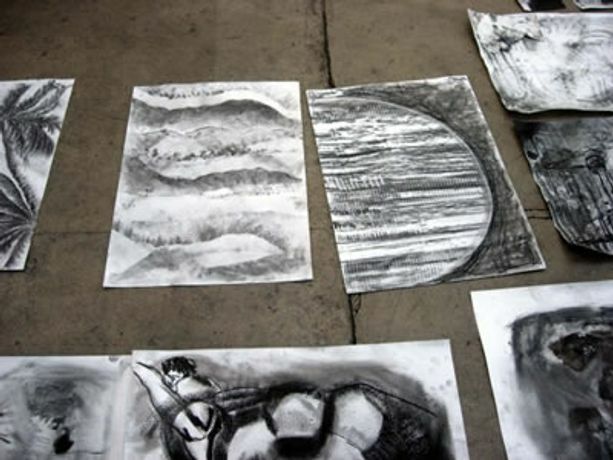 An opportunity to explore a variety of drawing materials and techniques, including charcoal, conte, graphite and frottage, to develop texture and variety in your drawing. Come prepared to get mucky and experiment with a range of media. The first day of the workshop will be a session of experimental mark-making using a range of materials and techniques and looking at the work of various artists. The aim of the second day would be to use some of the 'vocabulary' developed on the previous day to apply to a drawing or series of drawings. There will not be a specific topic for this and open to suggestions from participants. You are invited to bring in an object (or objects) or sketches/photographs if there is something you would particularly like to work on. There will also provide a selection of natural forms and some man-made objects for people to draw as a group or singly in large-scale close-up. Alternatively, participants could choose to develop an abstract drawing based on the textures they have explored.